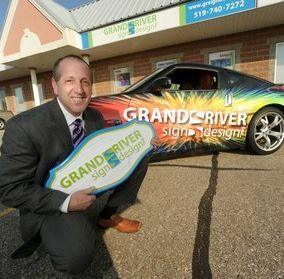 Grand River Sign Design’s mission is to treat every customer like they’re our favourite. From our complimentary consultation to our professional installation, we promise to be attentive and honest. We guarantee that your signs will be constructed with quality materials and customized to suit your project needs to the highest of industry standards. Treat yourself to the star treatment only Grand River Sign Design can provide. Tell us what you want, and we’ll show you what you need. Do you want your clients to find you? We’ll show you the revolutionary possibilities of exterior signage. Do you want to bring in new business? 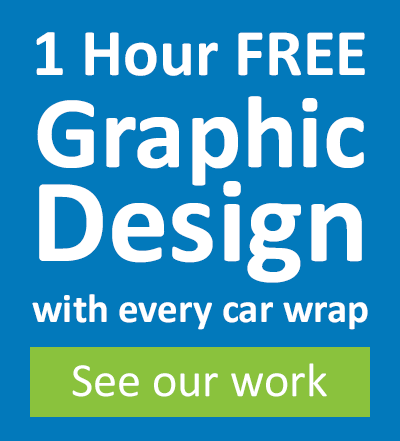 We’ll show you the pizazz and polish vehicle wraps provide. Do you want your booth to stand out in a bustling convention? We’ll demonstrate dynamic booth displays to wow the crowd. There’s no one-sign-fits-all at Grand River Sign Design. Your signs are customized to match your business, your logo, your advertising package, your marketing strategy, and your customers. Whatever your experience with signage is, our team of design and sign experts will enhance your understanding of how a sign can work for you. Our approach to signage is to create a distinct plan for every job. In treating every project uniquely we engage with you every step of the way and take the time to point out concepts you hadn’t thought of, and how likely your original idea is to fail or succeed. We take care of all the details. You want an outdoor sign, but have you considered how the placement will effect your foot traffic? Have you considered the elegance of backlighting? What will your sign look like in the winter versus the summer? We think of all of these things every day and will guide you to choose the best product, materials, and design for your end-goals.